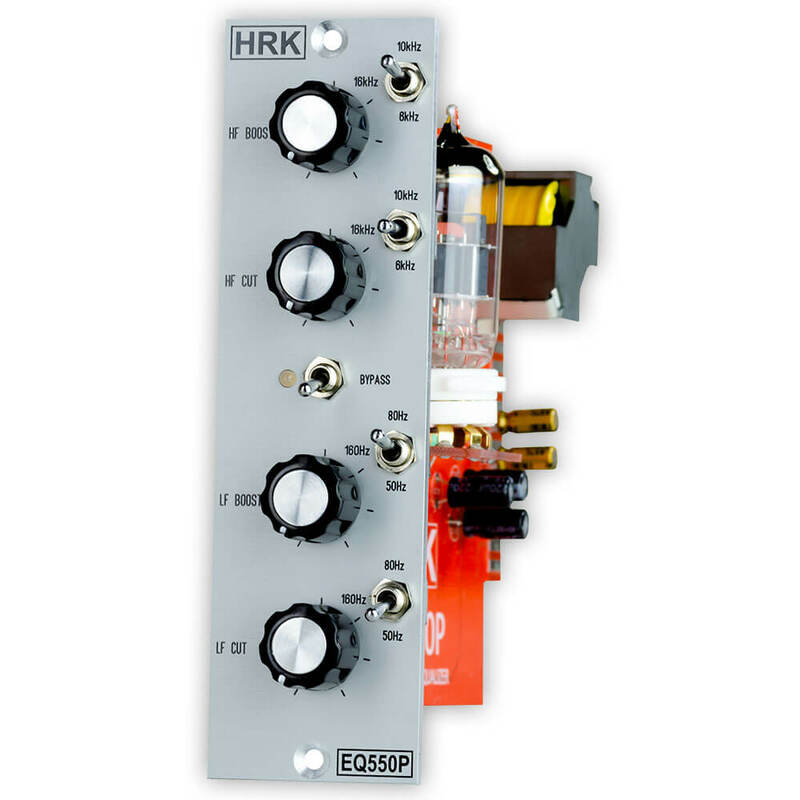 The EQ550P is a Passive Tube based 2 Band Shelf Equaliser inspired by the famous Pultec design. Each Band has a separate Boost and Cut Control which allows creating the sophisticated EQ curves. Each Boost or Cut control has three different and independent frequency settings which give a total of 9 setting combinations per Band. The Passive filter section changes the EQ curve by attenuating the signal. The ECC83 gain stage restores the signal to the nominal level adding the combination of harmonics and transients. The EQ550P is very musical and easy to use. It can process any music material, instruments, vocal or recordings, producing amazing results. The Valve – Discrete Transistors Hybrid circuit is the result of a long development process. It produces real Tube harmonics and reach tone while maintaining the noise on the extremely low level. Create the Sophisticated EQ Curves! The unique feature of Passive Equalizer is the ability to Cut and Boost at the same time. The EQ550P can create the sophisticated EQ curves which cannot be achieved by the active shelf equalizers. Ability to select three different frequencies independently for Cut and Boost provides countless possibilities in creating custom EQ curves. Pictures below show a few examples of such EQ curves. Like any other equalizer, the EQ550P can be used to cut or boost the shelf frequencies. The plots below show the maximum cut and boost for each band and frequencies settings. 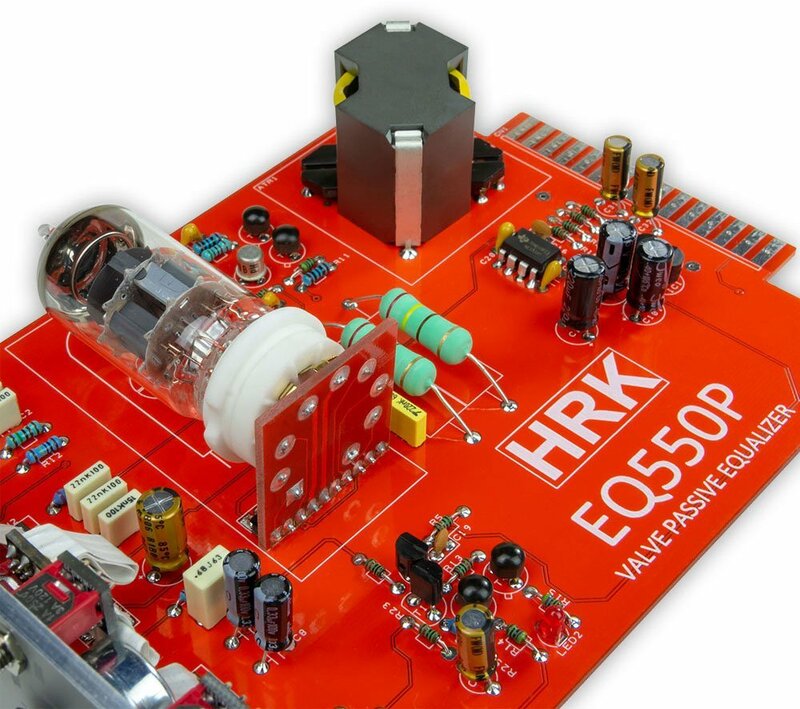 The Output of the EQ550P is coupled with specially designed custom HRK Transformers. Because of limited space in the 500 module, HRK Custom Transformers became smaller, maintaining no-compromise performance. 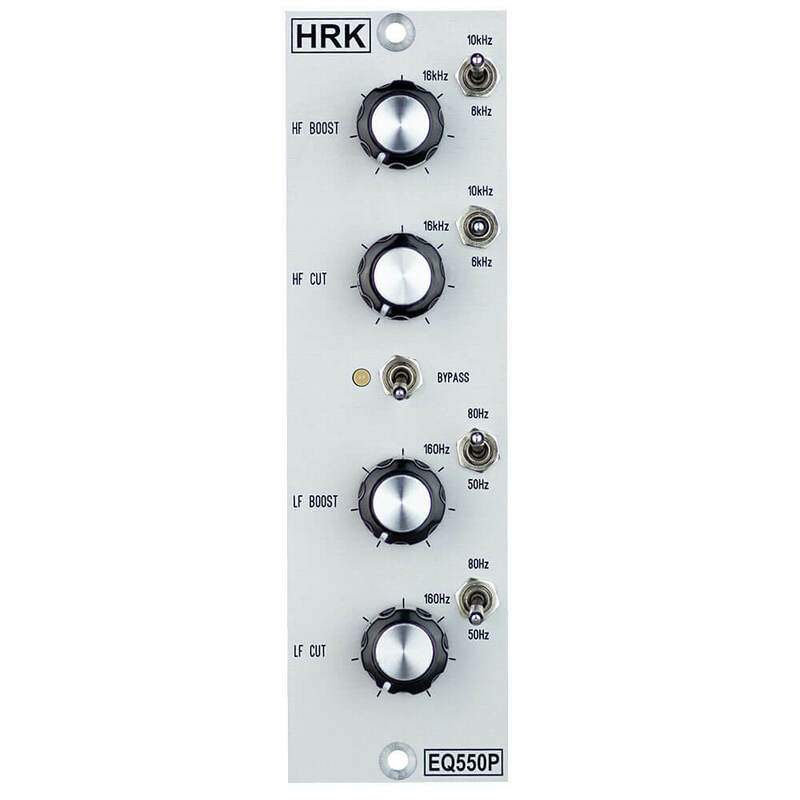 All HRK transformers provide the sweet-spot sonic characteristic with pristine detail reproduction. The goal of the design process was to create the transformer which will deliver a balance between the transparency and colouration typical for transformer stages. The output transformer is powered by Class A, No-Feedback, DC-Coupled Discrete Driver built with NOS Transistors from ’70s. 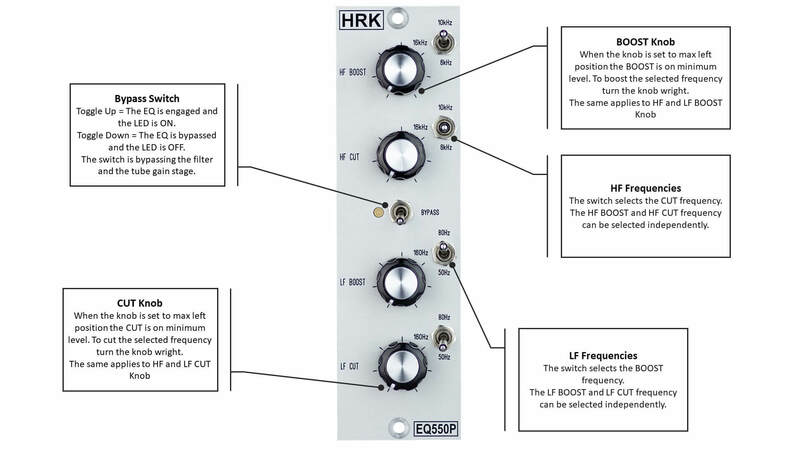 Compatible with most of the modern 500 Racks.